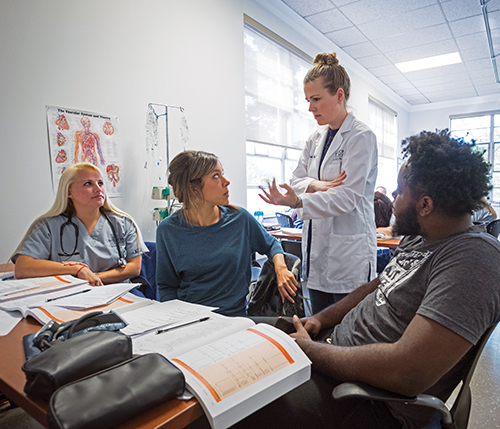 Caring and compassion are the cornerstones of our accredited nursing program, which gives graduates an advantage by making connections to the liberal arts. You don’t just learn the science behind nursing—you learn the art of providing thoughtful, attentive care to patients and communities. Our pre-licensure Bachelor of Science in Nursing (BSN) prepares outstanding nurses to meet the demand in today’s healthcare environments. Online RN-to-BSN and RN-to-MSN programs can open new professional opportunities. The Master of Science in Nursing (MSN) offers two tracks that can take your career to the highest levels. Your nursing education starts immediately. Pre-licensure BSN students begin nursing courses in their first year. Wilson’s onsite skills lab and partnerships with local healthcare providers get you out of the classroom and into learning and working environments. Wilson’s MSN program provides nurses with a flexible, affordable option to obtain their master’s degree. Our online program provides students with a supportive, personal experience not often found outside of the classroom. Every successful nurse had a mentor who showed them the ropes. 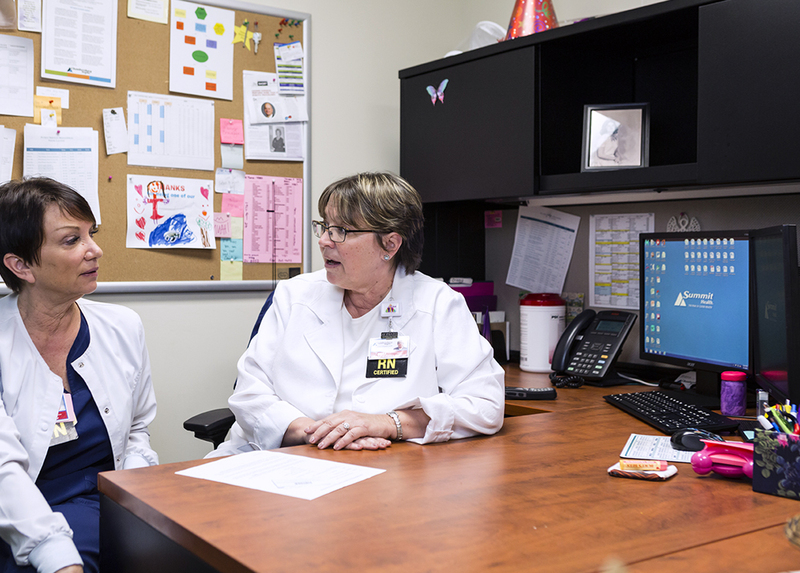 Our committed nursing faculty will push you to tackle challenges, while supporting you every step of the way. 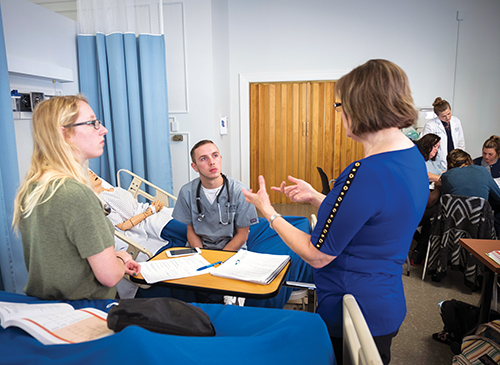 Wilson College’s nursing program has accreditation from the National League for Nursing Commission for Nursing Education Accreditation (CNEA), an indication of excellence and adherence to nationally established standards for nursing education. We have the fit you need to get the career you want. Wilson's inaugural BSN class had a 100% NCLEX board pass rate. Wilson’s ranking in AffordableSchools.net’s list of the 25 Most Affordable Online Master of Nursing Degrees. Instead of condensing the nursing program into two and a half years of courses, we have four years to learn nursing content at Wilson. That makes a huge difference in your confidence level and your competence level. On any given day, Wilson nursing students can find themselves off campus shadowing nurses during a 12-hour shift at Summit Health’s Chambersburg Hospital, assessing residents’ vital signs at the Menno Haven Retirement Community or observing patients at Keystone Health’s public clinics. The goal of our undergraduate program is to give our students a hands-on clinical experience as early as possible, and we are so fortunate to have these partners to help us provide for those experiences. The courses train you to think differently, to see the bigger picture, instead of just the patient or task at hand. The program trains you for a leadership role. Read about the nursing program's latest developments in nursing education and partnerships. Gone are the days when nursing students practiced giving injections by using a syringe on an orange. Now with the help of human facsimiles known as simulators or mannequins, students can have a much more true-to-life experience.